Before Disney started buying up massive properties like Marvel and Star Wars, they were largely left to their own devices when it came to making blockbuster movies. They made an attempt at relaunching the Tron franchise with Tron: Legacy in 2010 and there were plans for Tron 3, but things eventually stalled out. 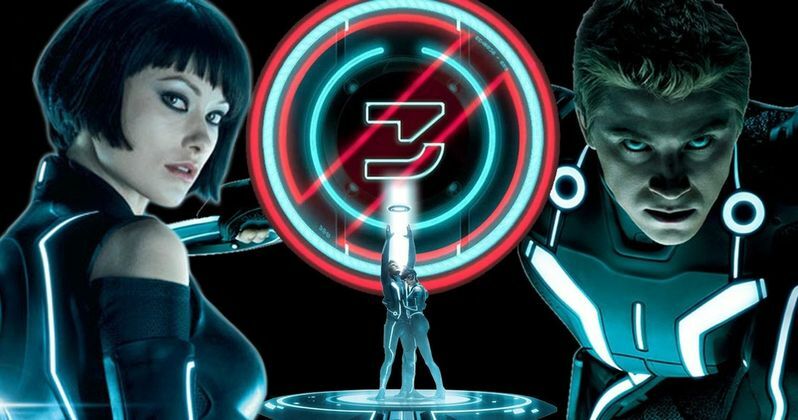 Now director Joseph Kosinski has revealed that the movie could still get made and furthermore, he has shared a ton of plot details for what would have been titled Tron: Ascension. Collider recently held a screening of Tron: Legacy in Los Angeles and afterward, Joseph Kosinski did a little Q&A session. During the course of the event, he revealed that Tron 3 is in "cryogenic freeze," but could still get made. The problem is that Disney simply has too many viable franchises right now. Here is what he had to say about it. "I guess I can say that Tron 3 is in cryogenic freeze. So, it's there. It's not dead. It's alive, but it's sitting there, waiting for the right time to move forward. I mean, you have to remember that when we made Tron: Legacy, Disney did not own Marvel. Disney did not own Lucasfilm...they own everything now. But this was before they owned everything, so from the studio point of view, they have a certain number of slots and a certain amount of money to make movies and if you can make a Star Wars spinoff or another Marvel movie, which are all doing incredibly well, a Tron movie, even though I think it would do very well, the question is: Would it do as well as one of those? That is more the reason we haven't seen another Tron is that Disney stock is flushed with really successful properties right now. But that doesn't mean we won't see one at one point." So those of you who have been looking forward to seeing Tron 3 partially have Star Wars and the Marvel Cinematic Universe to blame. Tron: Legacy did decent at the box office, bringing in $400 million worldwide, but the massive $170 million production budget made that much less impressive. Assuming Disney ever does unfreeze Tron: Ascension and decides to actually make it, we now know that it would be a big invasion movie and it would be a pretty big change up from what we have seen previously in the franchise. "The movie was called, "Tron: Ascension", I think that's out there. I think we got the script to about 80%. We were in good shape. We were probably eight or nine months out, which is still a good amount of distance from being ready to shoot it, but I think the script was in good shape. What I'm excited about is the concept, which is an invasion movie from inside the machine coming out as opposed to one we've usually seen. So we hinted at that at the end of Legacy with Quorra coming out, but the idea for Ascension was a movie that was, the first act was in the real world, the second act was in the world of Tron, or multiple worlds of Tron, and the third act was totally in the real world. And I think that really opens up, blows open the concept of Tron in a way that would be thrilling to see on screen. But there's also a really interesting character study in Quorra and a "Stranger in a Strange Land," trying to figure out where she belongs having lived in the real world for a few years, and where does she fit in." The landscape has changed a lot in the nearly seven years since Tron: Legacy was released. Netflix and tons of other services are in need of content, so there are other places something like Tron 3 could live and it wouldn't even have to be a movie. Director Joseph Kosinski knows that and is open to other possibilities. "It definitely doesn't have to be on a movie screen. I don't know if you saw the Tron ride, which opened in Shanghai and was amazing...I think the Tron franchise is alive in rides and I think there's still interest in exploring other things like VR, but as far as the TV show, I don't know, I think that would be tough. As you saw on screen, so much of the world has to be created digitally. You can't just go and film a Tron movie, or at least the Tron side of it, so I don't know. I would never say never. There's possibly a version of that, but that's up to Disney." For now, Disney has their hands full with at least one Star Wars movie, two to three Marvel movies and a live-action adaptation of an animated classic every year. Not to mention what they have going on with Pixar and any of their original movies, so it seems like they will have a tough time fitting in a new Tron movie. Still, Joseph Kosinski wants to do it and he definitely has Tron: Ascension mostly ready to go. But if Disney wants to do it, they will find a way to do it, so it is really in their hands. It was rumored last year that Guardians of the Galaxy director James Gunn was eyeing the director's seat on Tron 3 after he posed with a photo of the light cycle, but he later debunked that notion.